Do you keep track of the good days you have? We often remember with incredible clarity when something bad or sad or embarrassing has happened. We aren’t as good at giving ourselves the reminders of our personal successes. I started keeping a Good Days folder years ago. From time to time I have cleaned it out but some things I keep for a very long time. In this folder I put thank you cards I have received, emails of someone happy with something I did, feedback I get from participants in classes I teach, and related items. 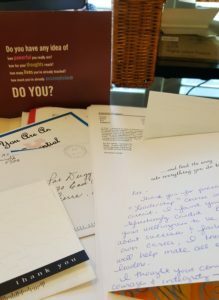 I recently taught a class of 44, and 3 attendees sent me notes immediately in response to the program. One woman said “It was exactly what I needed! In addition to being very informative, I am unbelievably inspired.” A man wrote “this course has provided me with a wealth of tools I can confidently apply to my everyday life. What made the course so special for me was you! You are an amazing teacher, a remarkable role model for early professionals, and a genuine soul.” Ah, soul food! nerally, and that I have what it takes to keep on fighting the good fight. 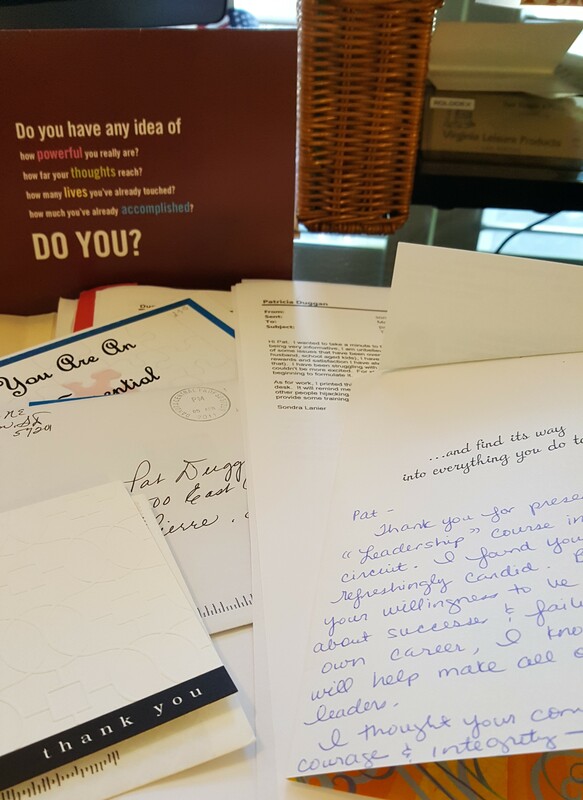 And it also prompts me to send my own thank-you notes to people who have made a difference to me. Kindness matters. 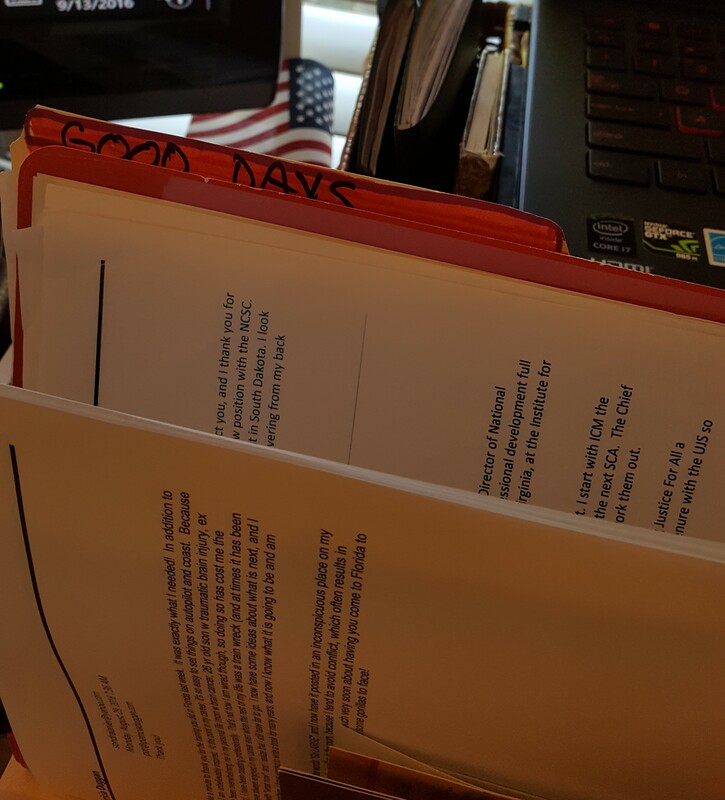 If you don’t already keep a Good Days folder in your desk, I encourage you to do so. You just never know when you need a pick-me-up or a little push to try one more time. previousHow do I add fun to a topic that’s not fun?